A red with lots of floral, dried fruits, and hints of lavender. Full-bodied, very structured and powerful. Loads of fruit, and shows tension and form. Drink or hold. Impressive. Tasting Notes: Pale yellow colour with greenish glints. A very complex nose with hints of fresh grass over a mineral base which gives the wine personality, and abundant fresh fruit such as citrus fruits, pineapple or melon. 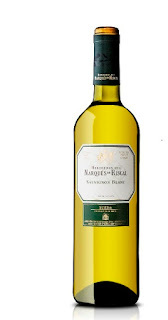 It leaves a fresh, aromatic taste in the mouth and has a clean, long finish.